Starting a home based business is a great idea if you’re trying to start a business with limited time and money. 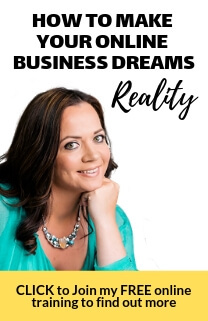 That’s why today’s episode of BernadetteTV we focus on what you CAN do TODAY to get your business off the ground even if you have limited time and money, including several ideas for home based businesses. ‘Is there any way to go from broke to a financially secure business?’ asks Carol on this week’s episode of BernadetteTV. The answer is OF COURSE! Every self-made man or woman has faced and overcome this challenge. The key is about getting resourceful with what you DO have. My 6 top tips for making the most of what you’ve already got when starting a business from scratch. And best of all, this is practical advice you can put into action TODAY. You’ll be amazed at what you can do with what you’ve already got. Remember after you’ve watched this video come and share your comments on my blog. We want to hear from YOU. I posted on You Tube, but just gotta say that if more people would find a way to have a Home Based Business, there would be less people unemployed. Thanks for sharing!